Do you have a clear framework for connecting your value proposition with your customers? Is the personal brand of each employee aligned with your organization’s brand? Are your employees focusing their behaviors to consistently deliver a branded customer experience? Integrity Culture is an innovative organizational development process that strengthens the connection between your employees and your customers. The process is the result of over 10 years of research, development and client application by Karl Speak, author of Be Your Own Brand. Karl’s pioneering work in internal brand building has helped employees throughout the world commit to attitudes and behaviors that consistently create value for customers. 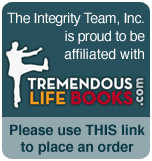 This process forms the cornerstone for Integrity Culture. Brand has become the universal language that describes the unique relationship an organization has with its customers. Integrity Culture engages employees by facilitating the alignment of their personal brand and values with the organization’s brand. One of the unique aspects of this innovative process is the use of a practical and time-tested model for integrating business and personal brands. The Power of Brand Alignment Process model creates a quick and effective understanding of brand and its relevance to everyday work behaviors. Developing a Brand Platform At the foundation of successful customer brand building is a clear, pragmatic definition of the corporate brand. A client-specific brand platform must be simply stated and easily understood by employees. (Note: This phase can be modified if an organization already has a strong, well defined brand). The Integrity Culture Seminar At the core of every strong brand is an organization that is engaged and passionate about the way it makes a difference for customers. The core of the development process is a highly interactive Seminar. This compelling workshop engages participants in a deeper level of understanding of their organization’s brand and how it aligns with their personal brand to better define their roles in building customer relationships and loyalty. The Integrity Culture Follow-Up Sessions This phase consists of integrated activities to create stronger alignment, engagement and teamwork throughout the organization. The Follow-Up process supports the application of key concepts and reinforces individual commitments to customer-centric behaviors through coaching, and communication. √ Learn and apply the concept of Personal Branding. √ Understand the connection between brand and the customer. √ Develop a practical perspective on brand building. √ Provide a framework for engaging employees to live their personal brand. √ Examine an organization’s brand platform. √ Managing internal branding to maximize value for customers. √ Create a competitive advantage and a differentiator in the marketplace. √ Exceptional customer satisfaction and loyalty. √ Increased sales and new referrals. √ Improved employee engagement and retention. √ Greater alignment across functions and departments.